Siemens is not dealing with SAP anymore. This is the information that was received from Hyderabad office. Their current telephone number is: +91- 40-23482500. This telephone number is for the enquiries related to SAP certification conducted by ATOS: +91-40-66742801/02/07. Most of the official SAP training providers in India also have SAP certification centers in India. You can find more information about them here: SAP Training in India. The Given phone number for the delhi there must be show the extenstion number if the number has change so update your information……. nobody is picking up the phone on your given number even hydrabad. Can you please send me the address and the phone number of Siemens Information Systems Ltd. as non of the phone number above is working . The above mentioned (Bangalore)phone number and email id is outdated. Please provide me the latest details, so that I can plan based on the schedules. The phone number is still not working. Please update the email address and contact details. Iam working at SIEMENS LTD-hyderabad, I need information regarding SAP SD course fee and duration. I do not think that they are going to provide you a placement after SAP certification. Is there any online training available so that one can learn along with the job and with his/her own pace? We are currently working hard to create such kind of online training. We want it to make very affordable and available on demand. Further announcements about the online SAP training will be published in our social networks accounts. What is the exact fees they charge on fico module? Kindly update the correct phone number & email id. So that it wil be easy for us to contact and get the information. Is siemens the institute for sap pp/mm course…?? and do theu surely provide placements to the student pursuing course from there institute…??? Would like to enroll in MM online certification training please provide best location with email. Thanks! is there any recognised SAP certification centre in Pune, maharashtra, india. Would like to enroll in SAP SD certification training please provide best location with email. Thanks! I would like to participate SAP financial module training in Bangladesh please advice and provide me the address of that training institute. Look SAP financial training in Bangladesh provide the address of that training institute. Please provide the chennai email ID, Currently not working. Can you please provide the phone and address details of SAP training centers in Bangalore and also provide the contact person details so that i can get to know more information with reference to the course. Try our SAP Training directory for India: SAP Training in India. Information about SAP training fees is here: SAP Training Cost. Wanna enquire about SAP OIL& GAS certification. PLease let me know how need to proceed. Siemens is not dealing with SAP anymore this is the info I got from Hyderabad office. +91- 40-23482500 is the actual number. Thank you for this info! We’ve updated the post accordingly. Thank u so much cleo for ur responses. Am a Nigerian and am planning to come over to India for SAP in HR. Kindly assist with good SAP training centers in India since Siemens is no longer dealing with SAP. So give me the details please. I have completed my masters in commerce , and want to do SAP FICO cource . please will you let me know what will be my career oppertunity after that. Now many institutions are providing sap training. So pls tell me the details of original sap authorised centre which are situated in bangaloru. Softwin Technologies Pvt. 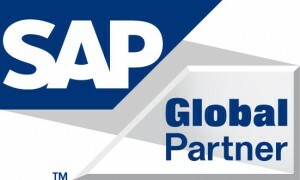 Ltd. is proud to announce its association with SAP as an Authorized SAP Education Partner based in Indore.M.P. All Citizens , who aspire to build rewarding careers in SAP Functional & Technical Consulting will now have the privilege of getting SAP certified. With Softwin, being Consultancy field, you will have an added advantage and SAP Authorised Training Centre , your learning will be closely monitored by experienced SAP Professionals. How much fees Siemens charging for SAP FICO Certification. Why it is not in Kolkata? Is there any center in Kolkata? Currently I am working with PHP and Mysql. I have 12 years Exp in programming Please suggest me in which module i can switch . and what is fee structure,Duration for regular classes and location in Delhi NCR. and what is cost of SAP Certification? Which is the best center in Pune for SAP Training. kindly send me contact number SAP ERP training at Delhi. Please provide me Bangalore sap mm course fees. Siemens providing training or not. Is it placement oriented or not. Plz provide contact details for a certified SAP FICO trainer in Gurgaon.